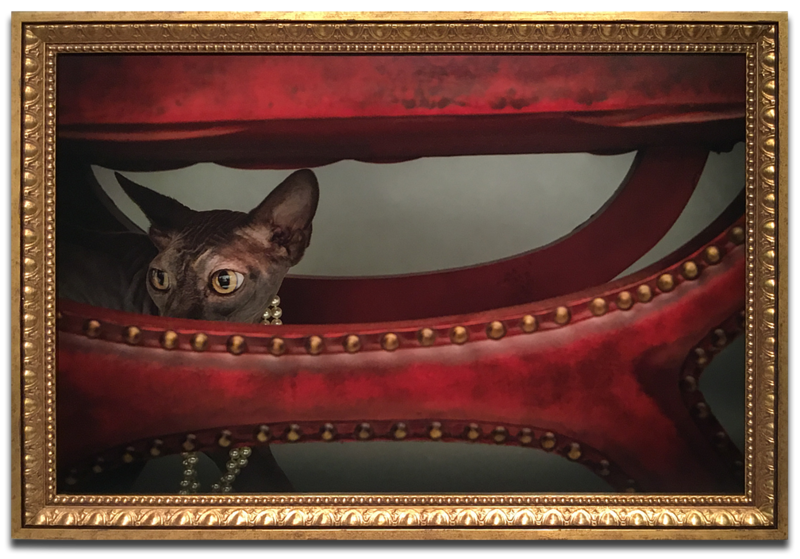 Pet "short hair"cat portrait wearing pearls. We used a subtly distressed Larson-Juhl, hand leafed "Versailes Gold" frame to accent the classic composition. This larger than life-size portrait is glazed using Optium Museum Acrylic to eliminate glare and protect against UV light. Original photograph by j'adore le chien Pet Photography.